Bonaventura Rubino was one of the protagonists of the musical life of Palermo, where he was Kapellmeister in the Cathedral for more than twenty-five years. In Palermo, Rubino found a stimulating environment, to which he adjusted very easily, soon becoming one of its most admired and appreciated musicians. 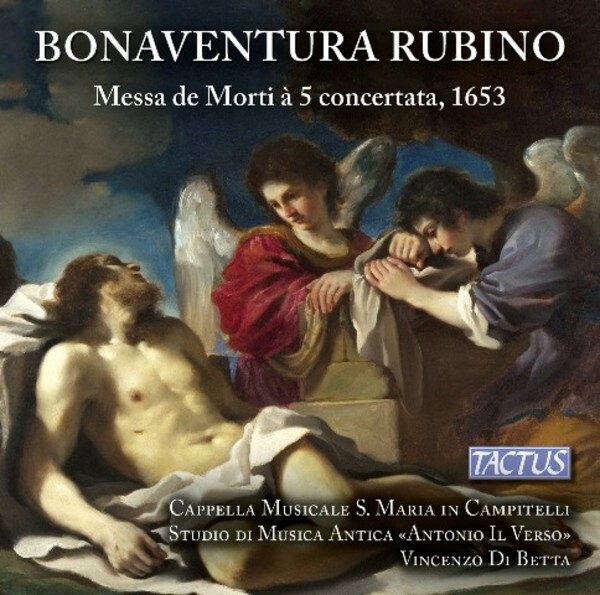 Bonaventura Rubino’s Messa di Morti (Requiem Mass) is presented here within the liturgical and musical context that is peculiar to this friar from Bergamo. In the Mass, the polyphonic sections for voices and basso continuo alternate with the liturgical monodies of the ancient Roman rite, in keeping with the melodic and textual codification of St Pius V’s Missal and the Medicean Gradual. The recording of this Mass was carried out in several points of the church, in order to give the listener the physical sensation of the various spots where the ceremony was taking place and the music was being performed.